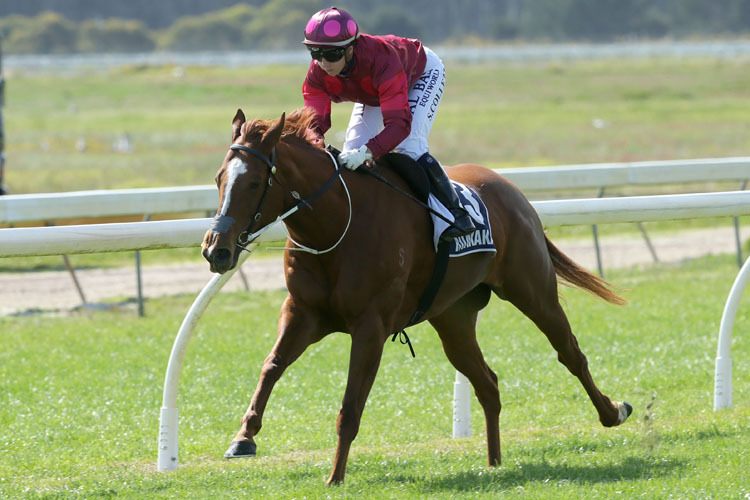 Speed machine Prom Queen was back doing what she does best when she scorched her rivals over 1200m at Ruakaka on the weekend. The Ken Rae and Krystal Williams-Tuhoro trained mare was making her first appearance since returning from a Brisbane winter campaign that ended in disappointment after a promising first-up run for second at Doomben. Unsighted in public since her return from Queensland, the Super Easy mare showed she had lost none of her dash as she quickly assumed control of the open contest after jumping well from an inside barrier. Allowed to idle along at a steady pace throughout, rider Sam Collett clicked her mount into gear early in the run home where she extended away from the chasing pack to score by two and a half lengths without being asked for a serious effort. Rae, who had been cautiously confident before the race, admitted to some pre-race nerves during the build-up. “I don’t get nervous when I’m at the races, but this horse does make me a wee bit nervous,” he said. “When they’re fresh-up you never know if they’re coming back or not. Rae has made some tentative plans for the mare’s spring campaign, although the prospect of her carrying some heavy imposts in his selected races has him wary of just where she will run. “I might go to Rotorua with her as that is a weight-for-age race which means she will carry 55kgs,” he said. Rider Sam Collett was all smiles as she returned to the birdcage enclosure as she maintained her unbeaten record on the mare. “She’s come back really well and it was a nice race for her to kick-off in,” she said. “To me she still has a bit of improvement in her as her coat hasn’t quite come right through yet. As outlined by Rae, Prom Queen’s next assignment could be the Gr.3 Sweynesse Stakes (1215m) at Rotorua on October 20 before she tackles the Gr.3 Lindauer Stewards’ Stakes (1000m) on the middle day of the New Zealand Cup Carnival at Riccarton.